MANAUS: Croatia sent 10-man Cameroon packing from the World Cup with a 4-0 thrashing of the Africans in Manaus on Wednesday. Goals from Ivic Olic, Ivan Perisic and a Mario Mandzukic brace helped the Croatians coast to victory while Cameroon had Alex Song sent off in the first half for a wild punch. The victory puts Croatia just a point behind Group A leaders Brazil and Mexico, leaving their destiny in their own hands when they face the Aztecs in Recife on Monday. Croatia were the better side throughout, even before Song's needless dismissal five minutes before half-time. Olic had popped up in the right place at the right time to tap home from close range on 11 minutes to give Croatia the lead. Any chance Cameroon had of getting back into the game disintegrated when Song lost his head and thumped Mandzukic in the back right under the referee's nose, earning a straight red card. 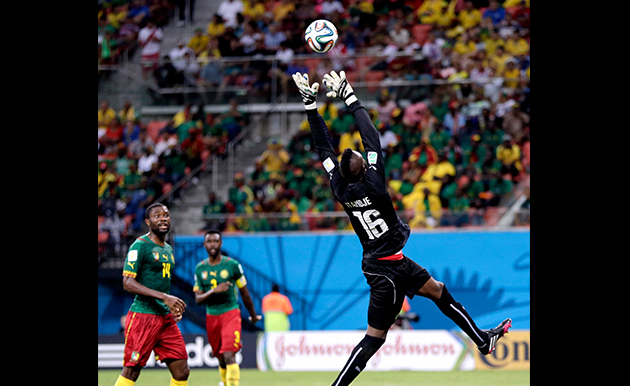 Cameroon imploded as full-back Benoit Assou-Ekotto appeared to headbutt team-mate Benjamin Moukandjo late on. The second half was all about how many goals Croatia could wrack up as Perisic netted three minutes after the restart. 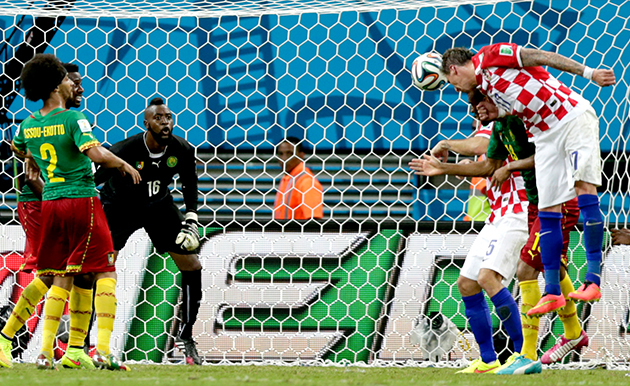 Mandzukic, who did not play in the opening defeat by hosts Brazil as he was suspended, scored a pair of typical goals for the targetman with a header from a corner and then a tap into an empty net after Cameroon goalkeeper Charles Itandje had spilled a shot from Brazilian-born substitute Eduardo.